Asset management - how do you get started? 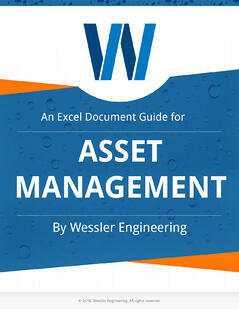 Asset management plans give you a plethora of useful information about your system. This information is most useful for identifying areas of greatest need. It can also be utilized when developing a capital improvement plan (CIP) or for utility master planning. Wouldn't it be nice to know which items need preventative maintenance and when? Asset management plans and CIPs can save you time, money, and headaches from potential emergency repairs by fixing problems before they start. We have created an Excel document to help you get started. Each tab in the Excel file is a specific part of your system, from pumps to electrical, chemicals, and more. While it is a lot of information, try to start collecting the basics - such as model number, year placed in service, and the component's location. Questions? Contact Dylan Lambermont, P.E., LEED AP, at 317-788-4551 or at DylanL@wesslerengineering.com. Thank you for downloading our content. We hope you find it useful!